After the SR 99 tunnel opens through downtown Seattle, road configurations will change significantly. Here's a guide for northbound drivers to navigate surface streets in South Lake Union and SODO after the tunnel opens. If you're a southbound driver, click here for those details. 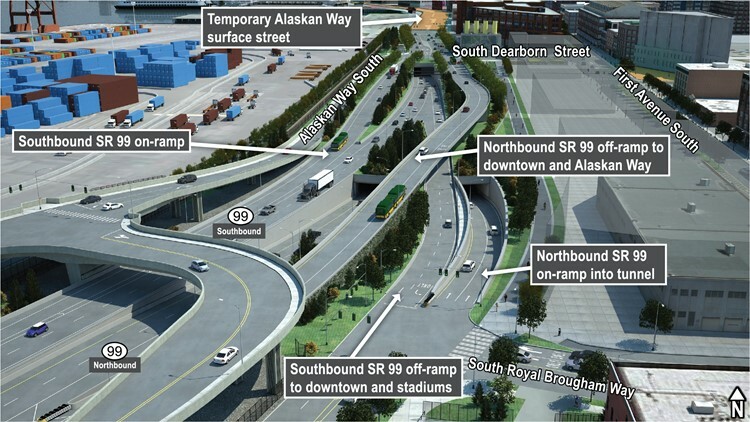 If you are already on SR 99 and want to exit before the tunnel, you can take the right-side exit to Alaskan Way and South Dearborn Street, which connects to First Avenue South. To get to the stadiums, take the Alaskan Way exit and turn right on Dearborn Street. If you aren’t already on SR 99 and want to enter the tunnel, the northbound on-ramp is north of South Royal Brougham Way and Frontage Road. If you want to get off SR 99, take the right-hand exit to Mercer Street and I-5. You can also turn right on Roy Street towards South Lake Union. Take the on-ramp to northbound SR 99 at Harrison Street and Aurora Avenue North. There’s no SR 99 exits on Western Avenue or Seneca Street anymore. 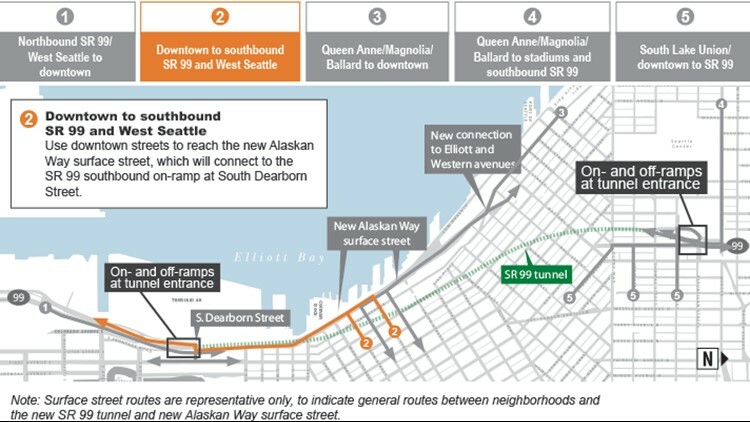 To get to Belltown, you could exit SR 99 before the tunnel onto Alaskan Way. Take Alaskan Way north to Broad Street, which will connect to Western and Elliott Avenue. To get to downtown, you could exit before the tunnel at Alaskan Way and South Dearborn Street. Take a right on Dearborn to connect to First Avenue South. 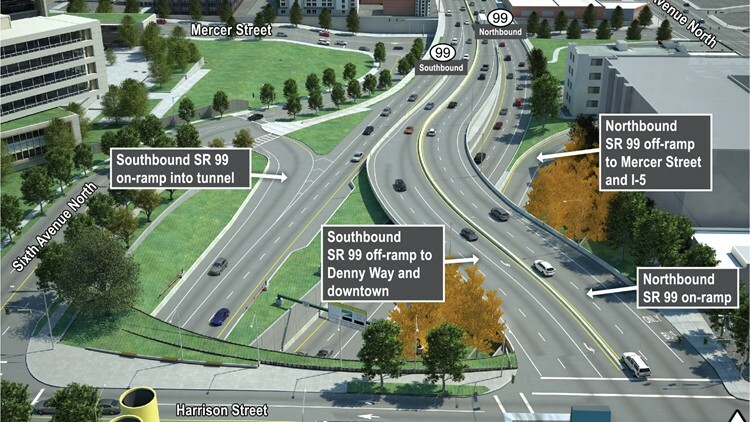 There's no SR 99 exits on Western Avenue or Seneca Street anymore. To get to Belltown or downtown, you could exit SR 99 before the tunnel onto Alaskan Way.